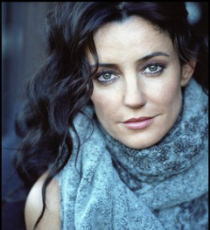 Orla Brady is an Irish actor who is best known for television roles such as Taryn in Sky1’s Sinbad, Catherine in The Deep, Siobhan in BBC One’s Mistresses and Maureen Boland in RTE’s Proof. Orla starred as Sheila Kelly Cloney in film, A Love Divided and Cathy in television film, Wuthering Heights. Her stage credits include Triptych (Southwark Playhouse), Blinded by the Sun (National Theatre) and Three Sisters (Dublin Gate Theatre). Her recent TV credits include Into The Badlands and Collateral Damage (2018).